ballet and tap monthly curriculum. Each school month from August to May, members receive monthly themes highlighting character-building with a coordinating color sheet and stickers, as well as 4 pieces of choreography (typically warm-up, dance, across the floor and rhythm or prop dance). 2 sample lesson plans, a themed playlist, and a parent newsletter are also included. Members enjoy a custom portal with lifetime access to content, as long as membership is maintained. This premier package also offers access to our VIP Facebook Group with one-on-one attention from the creators and other members of the Studio To Go dance community. 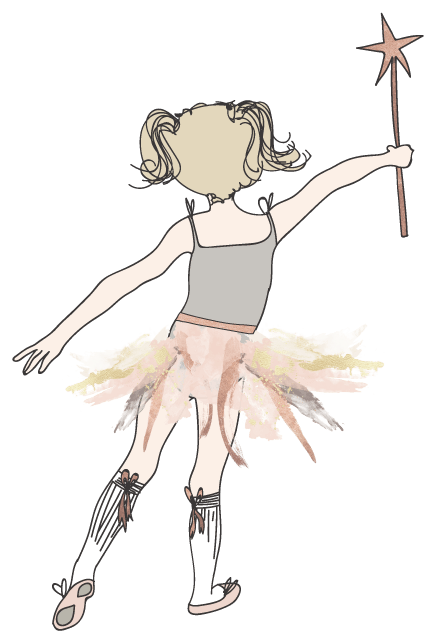 Customers have the choice of purchasing The Ballet Concierge, The Tap Concierge, or The Ballet and Tap Concierge. Concierge To Go is only offered twice a year. Our curtain opens for (2) one-week periods of time, typically in January and again in the summer months. We have chosen this method in order to provide a true consultancy experience. This is what sets us apart from our competitors! If you have visited our site while our curtain is closed, make your reservation on our wait-list to be notified about our next enrollment period!